That's really fab. Hope it wasn't taken today. Double rainbow, that must have been some downpour about to happen! Yes it was lovely. 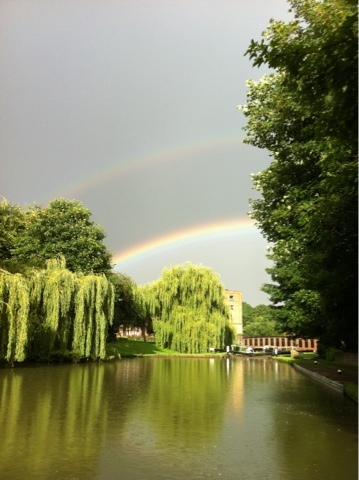 I think it was Thursday or Friday, absolutely pouring and then suddenly a bit of sun and a double rainbow. The whole family went out on the front deck to peer at it!